When you look at a lighthouse, what do you see? Perhaps to you, lighthouses spark memories of a family vacation to the shore or elicit seafaring imagery ripped from the pages of a Melville novel. While lighthouses are still utilized in many capes and inlets across the world, they have turned into somewhat of a novelty for many - a relic of days past. But, as is often true with historical structures, these lighthouses hold within them more than steel, brick and glass. Each flame that flickered through the thick windows broke through the panoptic blanket of night and signalled something different to everyone who saw it. Safe passage into harbor. A new beginning. The end of a journey. Home. 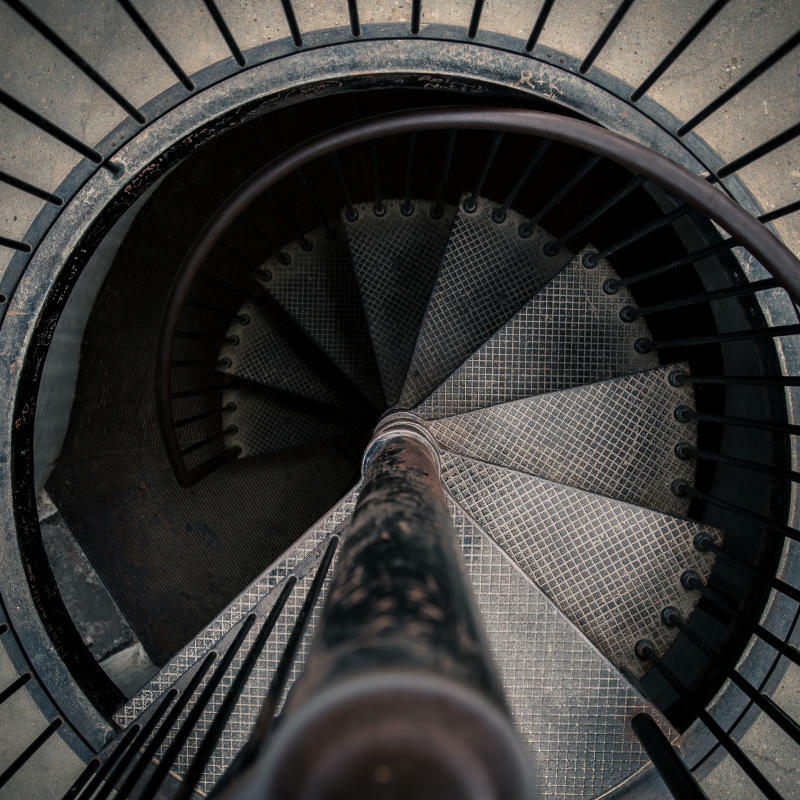 Each of the 191 stairs of Virginia Beach’s Cape Henry Lighthouse, at the place where the Chesapeake Bay flows in the Atlantic Ocean, leads to a story of its own. This story begins, surprisingly enough, not on the shores of Cape Henry, but in New York City’s Federal Hall, in 1789. The newly formed United States of America, still recovering from the destruction of revolution, was holding its first session of the First United States Congress, which is still regarded as the most important meeting of the Senate and the House of Representatives ever held. It was at this session that the US Treasury was formed, the rules of the House, Senate and officers were established, and George Washington was inaugurated as the nation’s first President. It was also during this historic session that Jacob Wray, the collector of customs at Hampton, made a plea to the newly-appointed Secretary of the Treasury, Alexander Hamilton, that the unlit shores of Cape Henry, which had claimed 57 maritime vessels, needed to be promptly addressed. With many Congressional leaders feeling a pressing need to answer the public’s demand for safe and navigable waterways, Hamilton turned to renowned architect, John McComb, Jr. Using the Aquia stone that remained on-site from a failed attempt to build a lighthouse during the war, as well as Rappahannock freestone, McComb’s plans called for an octagonal structure with three windows in the east and four in the west, that would stand 90 feet above the water table, and cost $17,700, roughly $435,000 in today’s money. As the tower neared completion, President Washington requested a list of applications for the new lighthouse keeper to be selected by him personally. In late October, 1792, Laban Goffigan, of Norfolk, lit the fish oil-burning lamps of the new Cape Henry Lighthouse for the first time. 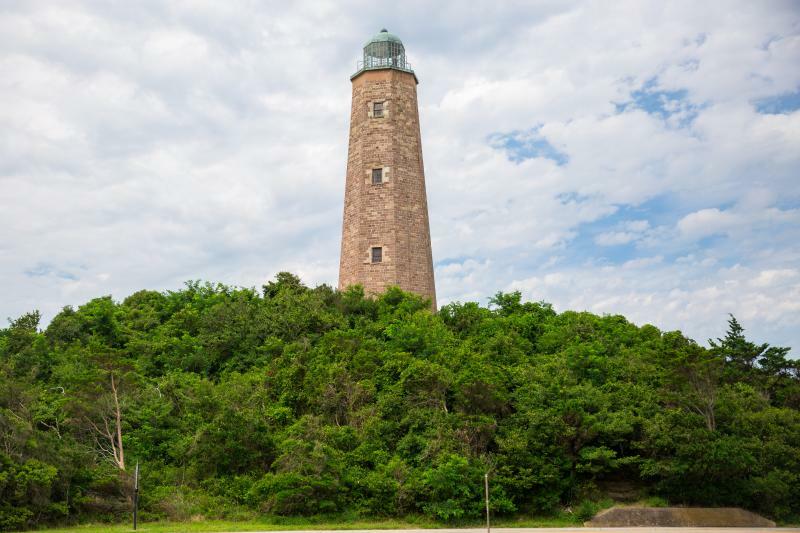 The completion of the Cape Henry Lighthouse marked the first federal work project of the new United States government to be fulfilled and it quickly became an important fixture for our region’s maritime enterprises and military. 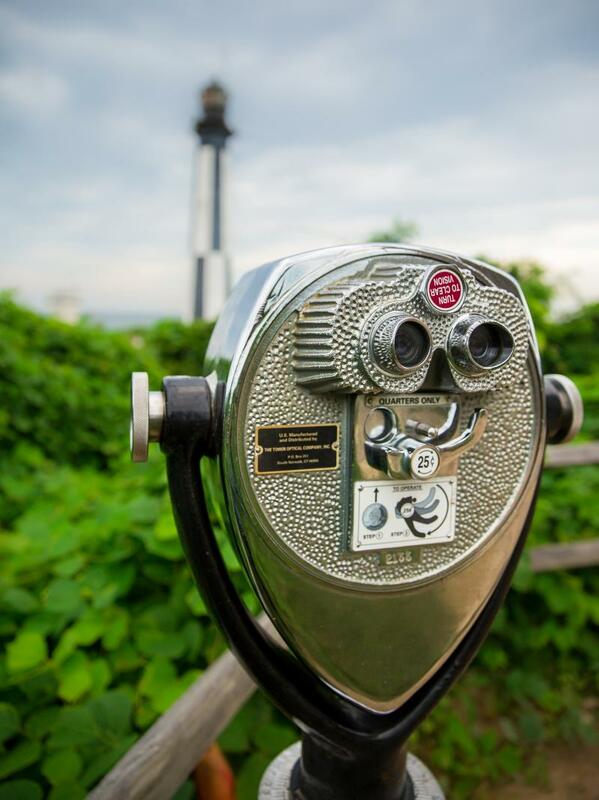 Though a new lighthouse, which is still in use, was built adjacent to it in 1881, the old Cape Henry Lighthouse still stands as a reminder of Virginia Beach’s historic past. The original structure was designated as a National Historic Landmark in 1964, and a National Historic Civil Engineering Landmark in 2002. The original and newer lighthouses were each placed on the National Register of Historic Places in 1966 and 2002, respectively. 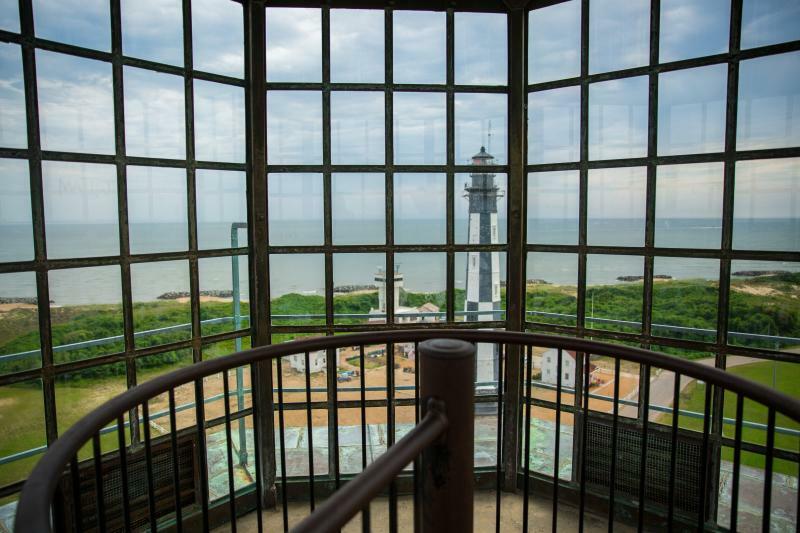 Today, you can gain access to the old lighthouse, which sits on the active Fort Story Military Base, and climb the winding metal staircase all the way to the top, adding to the revered legend’s story one step at a time.